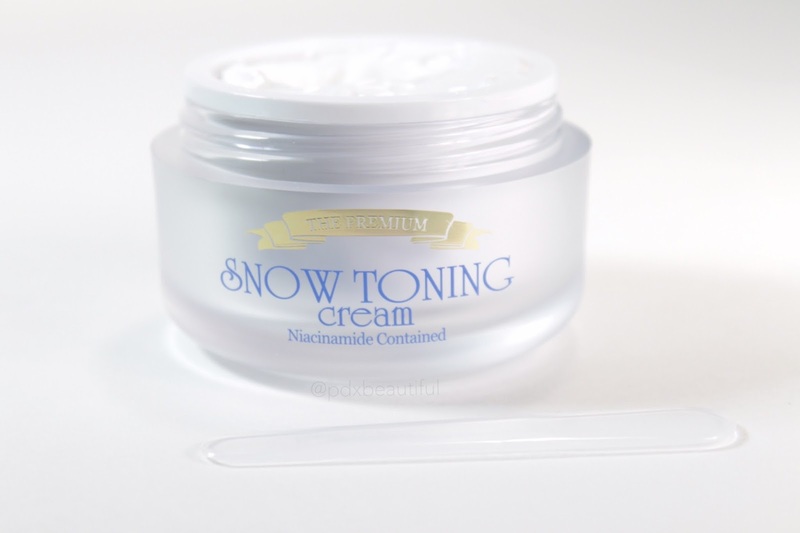 Today I am reviewing the Secret Key The Premium Snow Toning Cream I recently won in a giveaway from 0.8L on Instagram. If you have been following my blog for the past year or so, you will know that I have been battling hormonal, cystic acne. You can read about my skin care journey here. My acne has since cleared but unfortunately, I have been left with the after math, hyper-pigmentation and scarring. This cream from Secret Key is said to contain "platowhite-c", a patented formula for brightening. This also contains 7 different type of vitamins plus licorice extract and niacinamide. 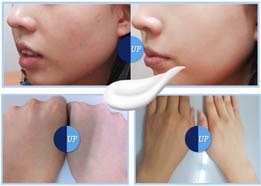 This cream claims to give an immediate whitening effect, moisturize and act as a makeup base. I am always skeptical of products that claim to be 3-in-1 but nonetheless, I was intrigued and began testing the day I received this in the mail. The formula is a whipped and fluffy cream that blends and absorbs very easily. This does not feel heavy on my skin, was not greasy and had a silky feel. This does contain a very subtle citrus scent that I honestly did not notice. Unfortunately, even after searching the internet, I still cannot find a full ingredient list. So frustrating! This made my skin feel nicely hydrated without feeling heavy. This did not cause any reaction or irritation so that is another huge plus. I also enjoyed that this was not heavily fragranced, even the slight citrus was almost non detectable. I cannot say whether or not this works good as a makeup primer because I always finish my AM routine with sun protection and recommend you do so as well. Although this did offer a small amount of instance brightening, it was nothing like the marketing pictures and claim. In order for me to really see if this cream indeed help with overall whitening of my post acne scarring and hyper-pigmentation, I would need to use this for more than a week. It would definitely require long term usage to see any visual improvement. I will continue to use this cream and if I notice any changes/lightening of my acne scars I will definitely post an update. Not a bad product but I haven't seen any visual changes.